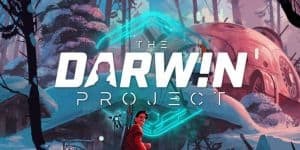 Darwin Project Permanently Adds Duos | Nerd Much? Darwin Project has been undergoing testing the last couple of weeks as Scavengers Studio attempted to install a new duo mode into the battle royale title. Apparently things went quite well, as the developers have announced that duos is now a permanent addition within the game. Darwin Project is currently a console exclusive for Xbox. It’s development is a bit behind the PC version at this point, but the version of the game on the Xbox Game Preview program is coming along nicely. Recently the developers have implemented Skill-Based Matchmaking into the Xbox One version. And they’ve also enabled private matches on the system. There is an Easter event currently taking place within Darwin Project too. It’s the game’s first holiday event and it will continue running until April 6th. Easter eggs are scattered throughout the Canadian Rockies based map. Finding them can earn you rewards in the form of Easter themed hats for your character. The battle royale title continues to build momentum following its Early Access release back in March. The game’s twist on the genre with the Show Director mechanic brings added depth. And it makes the game much more accessible to fans inclined to interact with Twitch streamers. For more on the game you can read our early impressions here. And for all things battle royale, check out Nerd Much’s coverage of the genre in our 2018 and beyond preview.